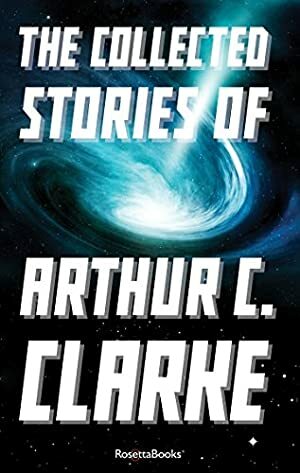 The Collected Stories of Arthur C. Clarke is a massive volume of exceptional science-fiction short stories by Arthur C. Clarke, the author of iconic works including: 2001: A Space Odyssey and Childhood's End. This collection compiles all of his shorter works written throughout his career -- ranging from his earliest work, to classic favorites that have defined the genre. Both exciting and philosophical, these collected stories don't just keep readers turning pages -- they keep them asking big questions about what it means to be human, and humanity's future role in the universe. Track It. This book has been $15.61 within the past year. Log In to track Arthur Clarke on eReaderIQ. to be notified each time the price drops on any book by Arthur Clarke. to stop tracking Arthur Clarke. We started tracking this book on August 23, 2016. This book was $16.71 when we started tracking it. The price of this book has changed 42 times in the past 970 days. The current price of this book is $19.99 last checked one month ago. This lowest price this book has been offered at in the past 90 days is $15.93. This lowest price this book has been offered at in the past year is $15.61. The lowest price to date was $1.99 last reached on November 1, 2017. The highest price to date was $19.99 last reached on January 31, 2019. This book has been $19.99 7 times since we started tracking it. We last verified the price of this book about one month ago. At that time, the price was $19.99. This price is subject to change. The price displayed on the Amazon.com website at the time of purchase is the price you will pay for this book. Please confirm the price before making any purchases.